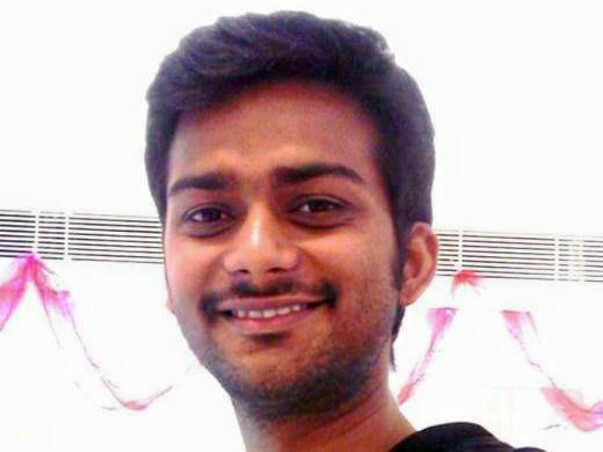 MANIKANDAN RANGANATHAN (from Korattur Chennai) is a 27-year-old software developer working in a small Chennai-based web development company. On Aug 18th, Mani was returning back to home on his motorbike after work when he met with a freak accident. Due to the heavy rains in Chennai, the roads were all submerged in water. His vehicle skid because of a pit on the road and he fell flat on the road separator/median. Mani has multiple fractures on his spinal cord, ribs, and shoulder. He has been in the ICU for 3 days and is now out of the danger zone after going through the initial surgeries. However, it would take at least 6 to 8 months of medication and rest to fully recover. Manikandan is from a lower middle-class family and cannot afford the money in full. 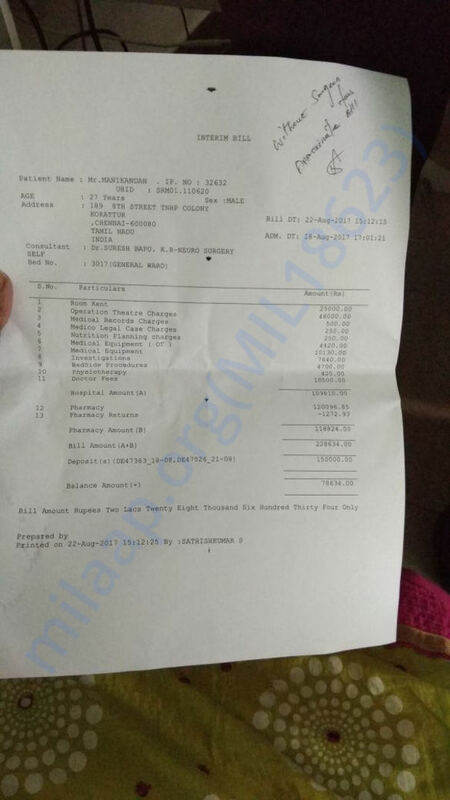 The total cost for surgeries, hospitalization, and medication is estimated to be Rs 9.5 lakhs. We have generated around Rs 2 lakhs - collected through close friends - and have paid the advance needed for the initial surgeries. Calling out all the good hearts out there to contribute and help us. Contributions to cover any part of the rest of the expenses would be extremely helpful at this crucial time. Please keep him in your prayers as well. 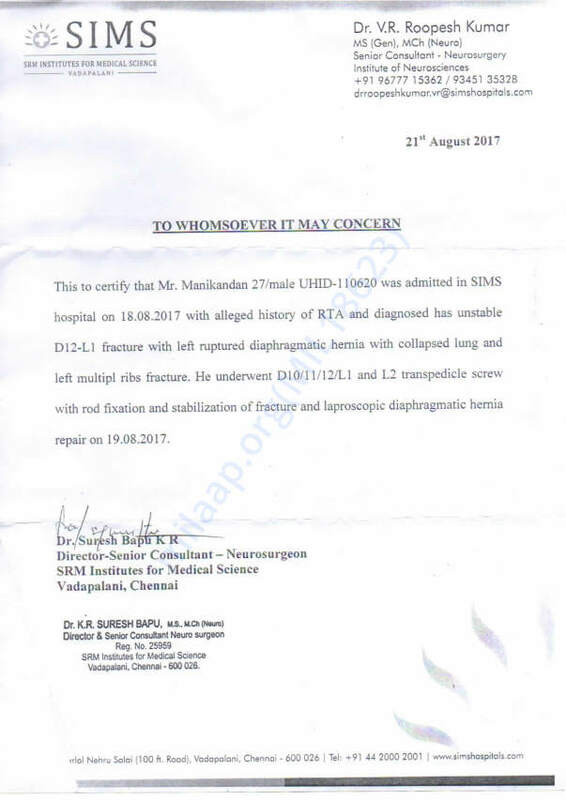 Manikandan has been discharged from the hospital and as per the doctors' advice has been kept in full bed rest right now. He is now able to sit upright with support for up to 30 to 40 minutes. We were initially informed that it would take around 6 months for his to get back to being normal but as per the recent update from the doctors, Mani would be back in 3.5 to 4 months. Because of all the prayers and support for Mani, we are sure he will get back to walking sooner than we initially expected. We have managed to pay off the funds with all your support online and offline. Mani and his family & friends would like to wholeheartedly thank each and every one of you who has contributed here on Milaap and on our other fundraising platforms and directly to Mani. With much gratitude and regards, we also thank you all for your prayers and for the kind calls you made to our family enquiring about his health. Wishing Manikandan a quick recovery. My prayers and wishes to his family.